This evening program will explore advances in digital dentistry and review the coordination and communication between the lab, surgeon,and restorative colleague to achieve exceptional results in the digital era. 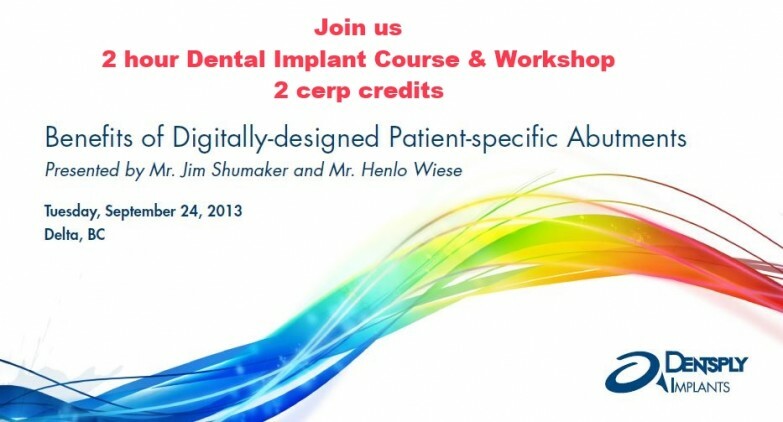 This program will specifically focus on how patient-specific (custom) abutments promote simplicity and reliability in the restorative process,enhancing aesthetic outcomes for each individual patient. Using the most advanced computer technology, patient-specific abutments are available for all major implant systems and are designed and manufactured to the clinician’s specifications. • The benefit of a new abutment material for aesthetic and functional outcomes. • The benefits of providing an anatomically correct abutment earlier in the healing cycle. • The benefits of simplified inventory management. • The importance of implant-abutment connections to successful longterm aesthetic outcomes. • The coordination and communication between the laboratory, surgical and restorative colleagues to achieve exceptional results.